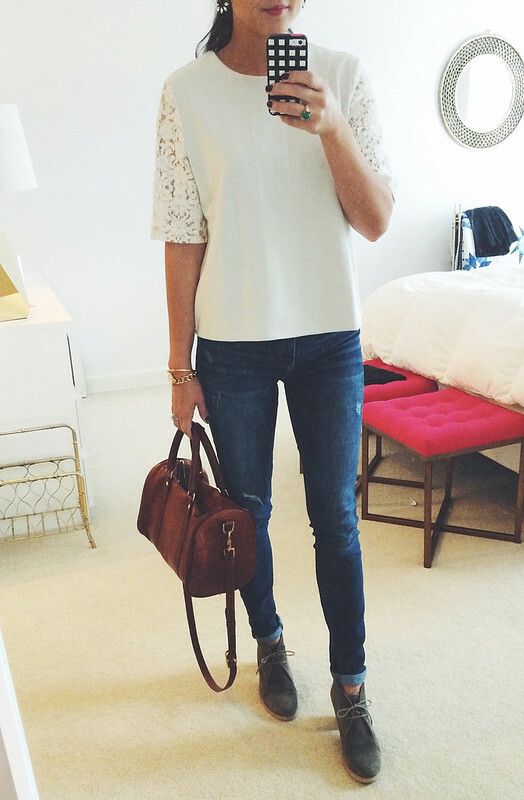 I am completely obsessed with this lace sleeve top from Loft. Does anyone else feel like this past weekend flew by? I mean, it's like I blinked and it just all of a sudden became Monday. So funny how some weekends feel like that and others seem to take their time. I'm getting back into the swing of things (just recovered from a lingering cold) since there's lots happening around here. I've got a fashion event next week Thursday (10/16) that the ladies of HERE.a pop-up shop, Wrabyn, and Jane Hruska accessories are hosting at Metropolitan in downtown Annapolis. It's going to be so much fun, if you're around, please stop by! It's from 5pm-10pm and is a free event with a fashion walk to show off the gorgeous items from Wrabyn and Jane Hruska. Then we've got our NYC anniversary trip the day after that event (so excited! ), and then it's Halloween! This week is when I'll start getting the house in Halloween mode, and I'm especially excited about it this year because Cora can pretty much understand what's going on. Wish me luck getting it all ready for her. 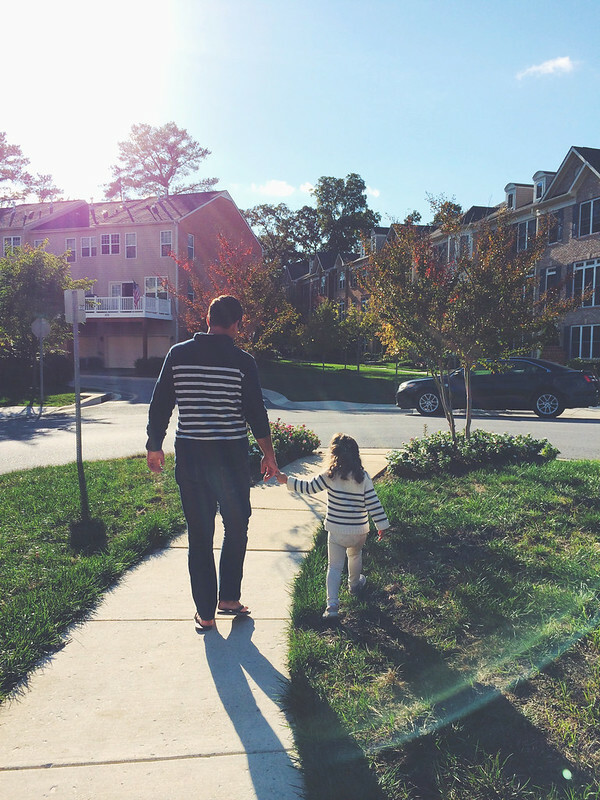 I just wanted to share a few snaps of this past weekend and what we were up to. 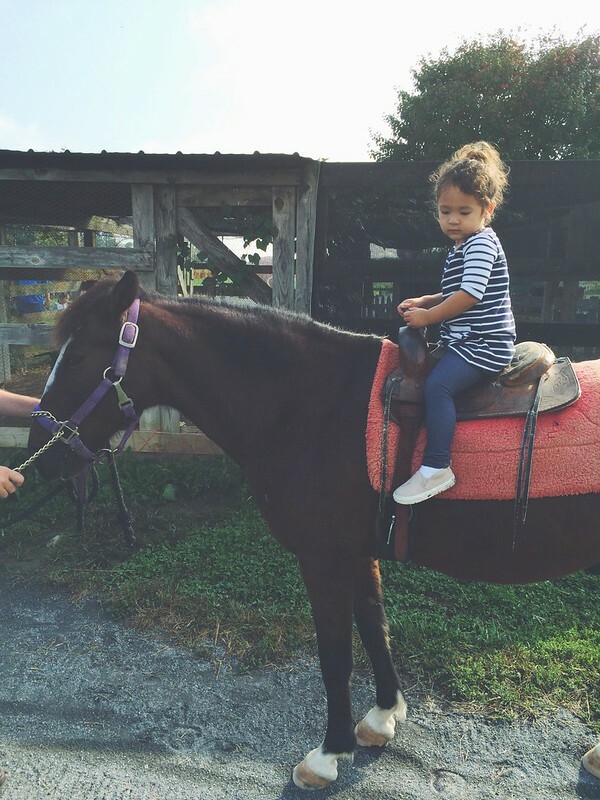 Was a total natural when it came to the pony rides at Clark's Elioak Farm during her daycare field trip. 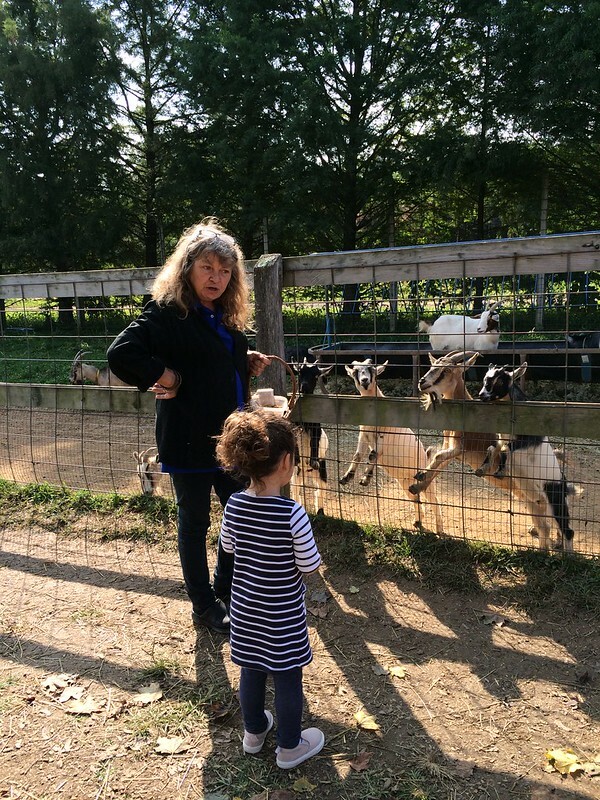 Feeding baby goats wasn't exactly as fun as riding the ponies. She tried but decided quickly that it was not for her. 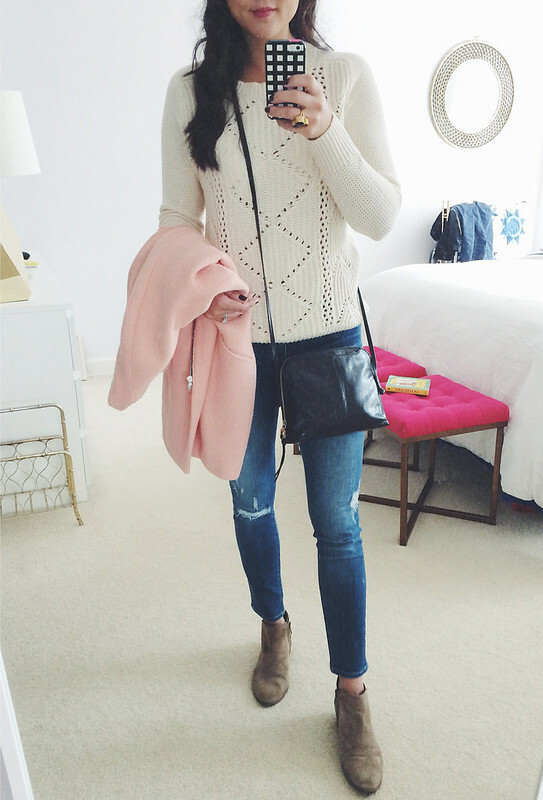 My easy Sunday outfit of the day. 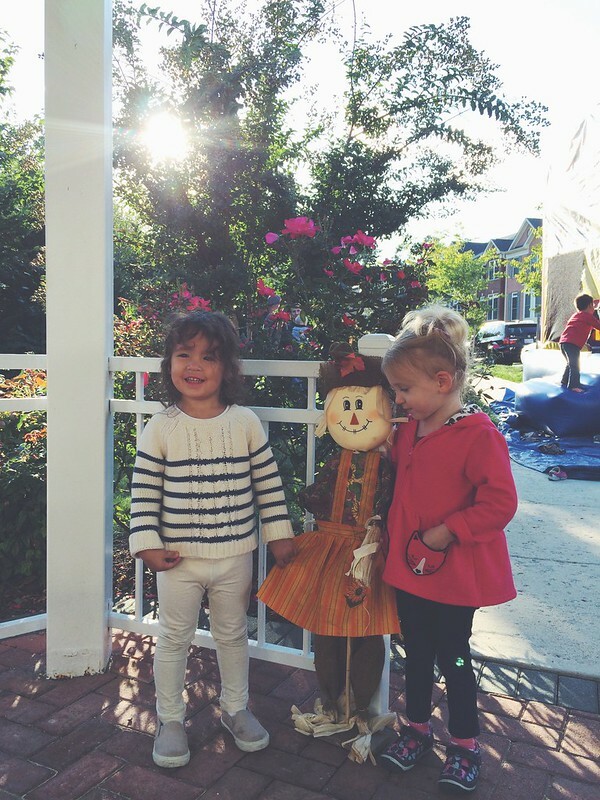 Our neighborhood hosted a Fall Festival (BBQ and moon bounce included) and Cora just about had the best time ever.